12 Apr The hidden surprise of no fault divorce and how divorce law reforms could actually be destabilising marriage! Crying is common in my clinic. I see clients every week who are crying over the breakdown of their marriage. It rarely happens overnight, usually the relationship has been falling apart for a long time. Festering issues stacking up and the warning signs being ignored, suppressed or glossed over with wishful thinking for many months, if not many years. So when I hear that reforming the divorce laws will cheapen the institution of marriage or incentivise people to rush into a divorce I just don’t agree. In my experience there is no evidence that my clients take divorce lightly, it often takes years of unhappiness for them to get to the point of no return. I do think that the divorce rate may increase slightly for a short while as those trapped in unhappy marriages take advantage of the new reforms to finally get the divorce they have wanted for a long time. But I believe this will settle down and the benefits will far outweigh any potential disadvantages. 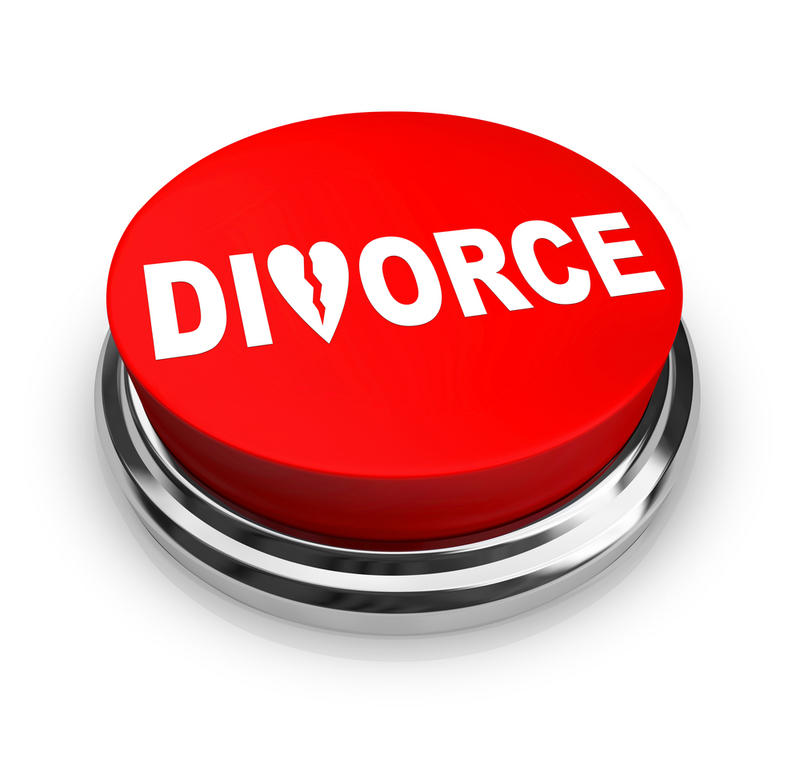 The divorce laws are antiquated, and times have changed. Beliefs about marriage and the stigma around divorce are no longer best served by trapping people in relationships they do not want to be in. I’m a big believer that as adults we are all responsible for our own lives and for the decisions we make in life. If we are able to make the decision to commit to another human being for the rest of our lives, we should be able to make the decision to leave that partnership. It seems barbaric to me that anyone could be trapped in a marriage they do not want to be in. Not to mention the hot bed of domestic abuse (including emotional, physical, financial, sexual and coercive control) that can be hidden behind these archaic laws. “But what if people make a mistake and rush into a divorce that they later regret?” I was asked on the radio recently. Well simply put, I believe we are all big enough to make our own mistakes! As adults we make decisions every day that can change our lives. Sometimes we get it right and other times we slip up. But surely it is our mistake to make? No fault divorce is a blessing. It means that you no longer have to allocate blame to either party for the breakdown of the marriage. I have seen this to increase conflict from the get-go of the divorce for even amicable splits and pour petrol on the flames for the more acrimonious breakups. Carol is a client of mine who has been devastated by the accusations made by her ex about why the marriage broke down. He filed for divorce claiming unreasonable behaviour and stating that she was difficult to live with, unkind to him and often stayed away from home. He told her that he had to make it up so that they could get the divorce through the system. She is an airline stewardess and so has to be away for work. She feels betrayed and hurt by his false accusations and this has caused many unnecessary arguments for them. It has increased legal costs and been so much more stressful for both Carol and her ex. Gwyneth Paltrow shone a light on “Conscious Uncoupling” when her marriage to Chris Martin ended, which is an ideal way to end a relationship, especially if you have children. However when blame has to be allocated it often results in what I have termed “Aggressive Severing”, a long painful breakup with high conflict and lots of emotional suffering…and extortionate legal bills! I was recently asked during a radio interview “Isn’t divorce bad for children?”. The truth is that a bad marriage is toxic for kids because as adults we are role models for our children. What are they learning about love and marriage when the relationship is flawed and dysfunctional? The important thing is how the parents behave during the breakup. Maintaining a “functionally friendly” relationship where parents work together is always in the best interests of the children. A little bit of respect and kindness goes a long way. So if a divorcing couple can make the application together, without apportioning blame, this will get the process off to the best possible start. It gives them the best chance of avoiding conflict and remaining amicable which is a huge positive step forward. A big part of my work is helping clients to have an amicable divorce as there are important pitfalls to avoid and key steps to take. I think we see “settling” in marriages. After the wedding and the honeymoon period, throw in kids and a daily routine of school run, work, dinner time and sleep and it’s easy to see how the romance fades as other things take priority. We make less of an effort, date night is replaced with collapsing with exhaustion on the sofa in front of the TV! It’s normal and natural to not be as attentive and accommodating and personal standards drop as we take the partnership for granted. Michael is a client of mine who readily admits he stopped worrying about going to the gym and taking care of himself after a few years of marriage. He didn’t think it mattered and ended up putting on a huge amount of weight over the 17 year marriage. It was one of the points his wife listed in her divorce application which stung him badly, even though he knew it was true. The good news is that there are lots of things you can do to improve your marriage. In fact I have had so many emails about this that I am launching a new course on how to save your marriage. It comes down to getting a deeper understanding of you and your partner, your values and your communication styles. It is possible to save floundering marriages, even if you only one of you is committed to do what it takes. Steve came to me with issues in his marriage that his wife was not prepared to work on with him. So we created an action plan for him to start on and after just a few weeks his wife was so impressed with the changes he was making that she started to make an effort too. She even booked an appointment with me herself to see how she could pull her weight to get the marriage back on track. That was two years ago now that they were on the brink of a divorce and they say they are happier than ever as they really understand each other now, after 12 years of marriage! I guess the downside is that I have also seen an increase in clients who are feeling insecure in their relationships and they are now worried that their partners will leave them as it is easier to get a divorce. My advice is always to work on the relationship and not give up. However there are times when you need to be brave and face the fact that it just isn’t working. If you are with a partner who doesn’t love you it will be damaging to your confidence and self-esteem. If they don’t want to be with you anymore then forcing them to stay is never going to make you happy. Divorce is never the easy option, no matter how the laws are reformed and changed. It is an emotional rollercoaster with practical challenges and financial stresses thrown in. It should be carefully considered and in my opinion it’s important not to leave with any regrets. Do everything you can to save the marriage. If you do this then if it does come to an end you can walk away with your head held high and knowing that you did everything you could to save it. I have seen a rise in the number of Breakup and Divorce Coaches I am training in recent months. Many of them have been through tough breakups themselves and want to use their experience to inspire others that there is a silver lining at the end of this. Life can be good again and you can be happy after a divorce. So YES I believe no fault divorce is a good thing and I welcome the divorce law reforms. Whilst divorce is never easy it can be a golden opportunity to redesign your life just the way you want it. Take back your control and create a future you are excited to live! For more information about coaching with Sara Davison, training with her to become a Breakup and Divorce Coach or online programmes, visit www.saradavison.com. Or follow her social media FB, Instagram, Twitter, Linked In and YouTube for free daily tips and advice.